Well who'd 've thunk it! And at the busiest time of the year! 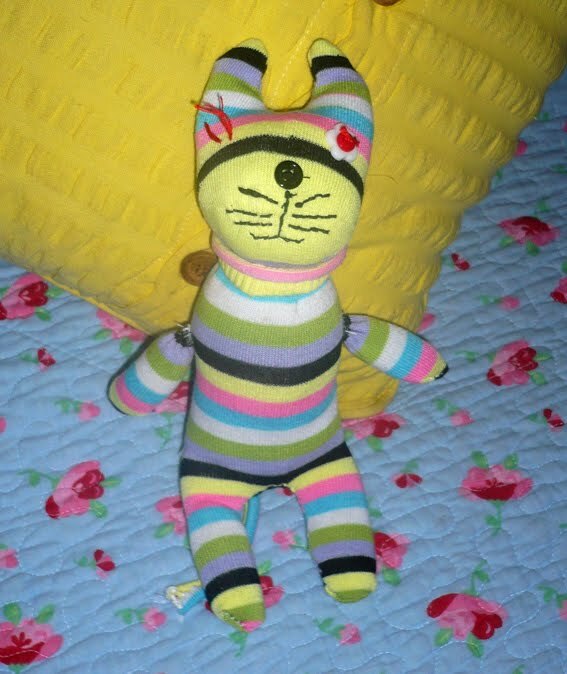 And so admired and grateful was my little Belle that she couldn't wait to get off to bed with he who has been named Mittens Stripey Strachan! Kinda made it all worthwhile ... maybe. 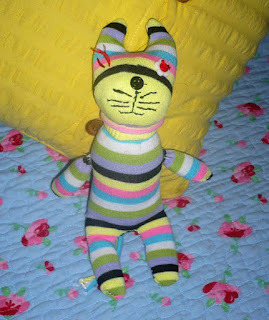 Can I just add that Millie got one too but she surely must be old enough to sew it herself by now...surely? Hahahaha - he'd lost an eye! Eeek! D'oh - better go. 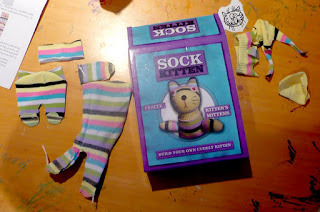 I have a Sock Kitten in need of emergency opthalmic surgery!!!! PS - don't ask me to sew for you. Ever! Oh Oh, Leon got one of these - it's a sock monster. Luckily the the X Box and Lego has taken up most of his time. He had a creative burst on boxing day building up his pirate ship and painting it, or should I say - dabbing splodges of paint over it. Happy new year Jak, loved your 8x8 btw. 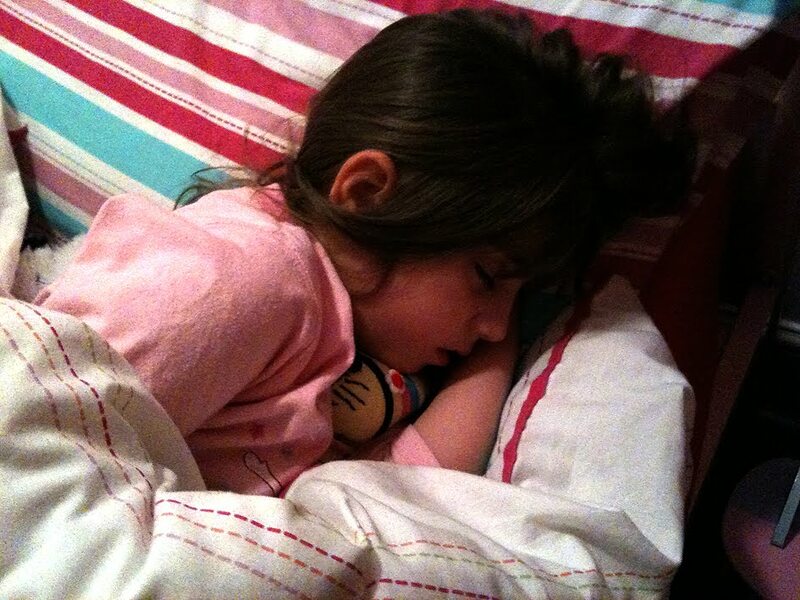 Oh, she is soo cute all cuddled up with her teddy. 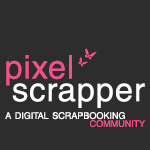 You have to scrap those photos. Happy New year Jak! Your little girl is sooooo cute! as is your little sock kitten, both just so lovely!!! !